All us women want to look pretty, looking pretty makes us feel happy. The look of our lashes are as important as what we wear or how our hair looks, because eyelashes are the first thing we notice when we make eye contact with someone else. Thicker and curlier eyelashes are considered to be the most appealing, but what if your eyelashes are weak or thin? There could be a couple of reasons behind this issue, you can read my post to find out why eyelashes fall out. 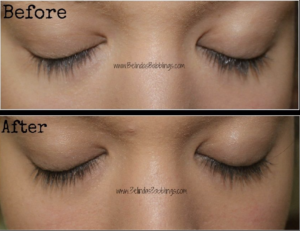 If you have thin lashes and want to regain their natural thickness, you might consider getting an eyelash growth serum. Eyelash growth serums help your eyelashes to grow back thicker and curlier and are not harmful to your lashes. Revitalash cosmetics company specialize in creating eyelash growth serums and their products have become notoriously popular not only in the United States of America, but also in Europe and Asia. You can safely use this product along with eyelash extensions and the product does not contain BHT, Phthalates and Parabens. It is important to mention that if you buy a Revitalash product, you help in Revitalash Cosmetics effort to eradicate women’s cancer. Revitalash is also animal cruelty free and vegan friendly, which means none of their products are tested on animals and no animals are harmed during the production process. The application is quite straight-forward, I usually apply it every morning before wearing make-up, since you need to clean your make-up prior for the best results. After applying Revitalash Advanced to the top sides of your lashes, allow a few minutes for them to dry before moving on with your daily makeup routine. There is a small minority with sensitive eyes reporting they have had irritation, burning and dry eyes, but I did a quick calculation with the data. The Amazon reviews regarding side effects are as little as 4%. The older version of the Revitalash eyelash growth serum contained “prostaglandins” which made it unsafe to use while breast-feeding, however they’ve re-formulated the product back in 2015. However, I would still take the ingredient list to your doctor to make sure if it’s safe to use, since there is not much information about this matter on their website. “What years and the environment have taken away… RapidLash gives back!” Now, as far as product taglines go, this one is pretty standard but then again, as a consumer all you ever need to find out is if a certain product works. Beyond that, everything else is marketing hype and no savvy shopper ever falls (completely) for that. 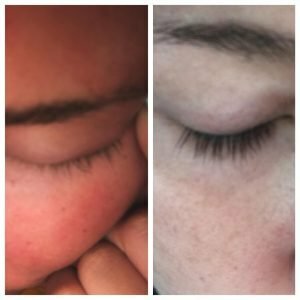 So how does RapidLash fare in terms of promoting eyelash growth? 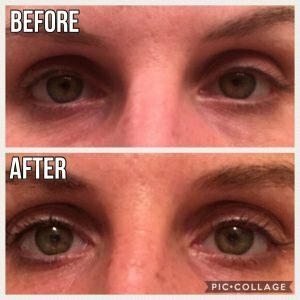 Is it really as safe and effective as it claims to be or is it a disappointing failure like so many eyelash enhancing solutions in the market today? First things first, this product promises results in as early as four weeks. 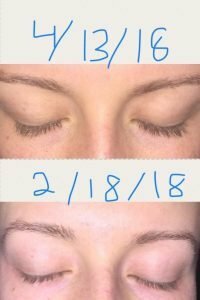 Now take note that for other lash conditioners, you need at least eight weeks to see fuller-looking lashes and even then, if you get stuck with a useless product, you might not see results at all. There are however, two things that make attractive to consumers: (1) it is relatively cheap per tube; and (2) it doesn’t have parabens or fragrances that may irritate the skin in and around the lashes. For the price alone, it’s certainly worth a try but know that there are better and safer eyelash enhancers out there. Severe eye irritation progressing to eye pain has been reported by some users. As Rapidlash has many chemicals inside, it is recommended that you discuss with your doctor first. Apply once a day to upper and lower lashes. 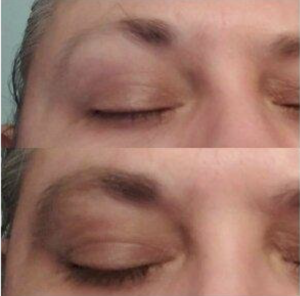 The product may also be applied to the eyebrows. Careful application is a must as irritation may occur if product gets into the eyes. For those who are nursing or are pregnant, obtain approval from your doctor first. This also applies to those who are actively undergoing cancer potential treatment or those who have eye-related conditions. While some could overlook the redness and the itching and the pain, most would probably never buy a second tube of something that comes with such risks. And though it’s true that sometimes you have to pay a certain price for beauty, spending a bit more to overcome liabilities seems to be a better option. Beautiful eyelashes can be faked by mascaras and eyelash extensions. You can even try home remedies like castor oil, which some claim to work wonders. But for results that can’t be faked, splurging is to be expected. Don’t cheat yourself of a good product just because you want to save some pennies. Hairgenic Lavish Lash is one of the best-selling eyelash growth serums on the amazon website, the price factor plays an important role here, being less than half the price of eyelash growth serums like Revitalash, Babelash and Latisse. It is difficult to find much information about the company, but I can say it is produced in Las Vegas by FDA approved labs. There are almost no side-effects reported by the user reviews, which is impressive. The company claims they are animal cruelty-free just like the Revitalash. It is advised to apply Hairgenic Lavish Lash every night after you cleanse your make-up. Although I have never used this product personally, I thought it was a worth a place in this list, due to the performance and the numerous positive reviews on the internet. However I couldn’t find any information regarding if the product is safe to use while pregnant or breast-feeding so please consult your doctor with the ingredient list if you are unsure. 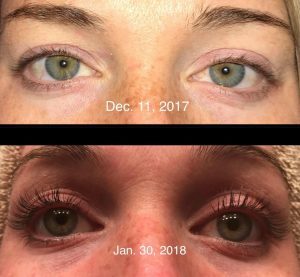 Rodan and Fields Lash Boost is one of the most expensive lash growth serum on the market, but is it really worth it? Firstly, Rodan and Fields Lash Boost is not tested on animals just like the other lash growth serums I have reviewed, which is a plus for me. However if you are looking for a vegan friendly product, this may not be it. Looking at the ingredients and user comments I can see a high number of people are complaining about side effects such as itchy skin, burning eyes, irritation and so on, this makes me think this product may not perform as well as advertised. However there are also people who claim that only Rodan and Field Lash boost is working well for them, so the effects of each product can be different for everyone. If you are prone to issues with sensitive skin, this may cause more side effects compared with someone without. The most noticeable and dangerous ingredient in the list is; Isopropyl Cloprostenate which can even change your eye color if contacted with your eye. I would highly avoid using this product before giving others a try. Latisse can be only bought by getting a prescription from your doctor, therefore it is harder to get than any of its competitors in the market. The effect of Latisse is scientifically proven so there is no doubt it is going to work for you, but it is important to know why you can’t get it without a prescription first. It is worth to mention that Latisse is the only FDA approved eyelash serum. For this one, I am going to look at the ingredients first, because the ingredients are more important. Latisse has an active ingredient called Bimatoprost, it can help your eyelashes grow big time but can cause serious allergic reactions such as difficulty in breathing and swelling. Because of the active ingredient(Bimatoprost) mentioned above which, you might develop some allergic reactions such as; difficulty in breathing, swelling, hives, burning eyes, vision problems, increased sensitivity of light. As latisse is not sold without a prescription, I couldn’t compile real user submitted images on amazon.com but I am sure the result would be as good as its competitors at least. Which eyelash serum is the best for you? It is kind of hard to choose between Hairgenic Lavish Lash and Revitalash Advanced. Revitalash Advanced is what I use personally just because they are established since 2006 and have proven products selling in over 50 countries. Both are animal cruelty free and vegan friendly. If you prefer a cheaper solution then go for Hairgenic Lavish Lash, otherwise Revitalash Advanced is my pick. Rodan and Fields on the other hand is not recommended for the reasons above, I will be updating this post with other brands soon. Like you, we also cover long, full eyelashes and thick, well-groomed eyebrows that will command awe and attention – the good way. But it’s not enough that we’re beautifying them whenever we’re going out or needed a good makeup. You should also make sure that you properly and regularly care for and maintain your eyelashes and eyebrows, as this will directly affect their health and how they function. For one, your lashes protect your eyes against dirt and foreign matter, while your eyebrows frame your face and affect your facial appearance. Here’s basic eyelash care: never go to bed with your makeup on, especially in the eye area. Your lashes are sensitive and tend to break more easily once hardened by mascara, cosmetics and other makeup products as you sleep. Apply makeup gently, too, and keep in mind that your lashes tend to fall or break. Another no-no is rubbing your eyes, which can hurt your lash roots badly. You may brush your lashes regularly using a special eyelash comb, particularly if you find very sparse growth. Doing so will help stimulate their growth. Avoid excessive sun exposure, which can weaken, dry out, or increase the porosity of your lashes. Use solar glasses if you have them. Use eyelash curlers sparingly, or only once a day. 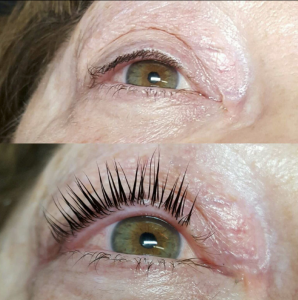 Curling can weaken the roots of your lashes, so promote conditioning and lengthening in another way, such as using a high-quality eyelash growth product. On the other hand, eyebrow care entails the same gentleness in applying cosmetic products and when removing them at night before you sleep. Go for natural brows, slightly de-haired to define their shape and to let them highlight the features of your face. Research or ask your local beauty expert for the right brow shape for your face, because this can directly affect your facial angle. Add a slight curve to your brows to avoid straightness, which can make you look expressionless! Avoid excess plucking, as this can adversely the skin when you do it regularly. Use a mild hair removal product or method to avoid irritating that part of your eyes. Study the quality and safety of the lash and brow cosmetics you use. Use only those that come from a reputable brand or manufacturer, including when purchasing an eyelash growth serum or conditioner. Choose natural herbal components and key nutrients for hair production and maintenance. Explore using tatural remedies include olive oil, Vaseline, or emu oil, at night before you sleep, to help nourish your lashes and brows as you rest overnight.